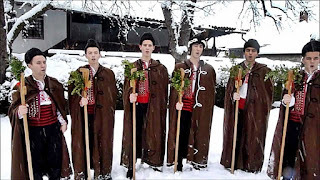 Just like us here in the UK, Bulgarians celebrate Christmas on December 25, however this is somewhat unexpected because Bulgaria is an Orthodox country. The traditional Eastern Orthodox celebration of Christmas actually occurs on January 7th. Bulgaria's Orthodox Church follows the Gregorian calendar, which means its religious observances are in keeping with those of the West. If you're in Bulgaria during the winter season, you can see cities like Sofia covered in Christmas lights with the Sofia Christmas Market an ideal place for travellers to go during the month of December to experience Bulgarian Christmas cheer. A typical Bulgarian Christmas is full of customs and traditions that make this time of year special for those who maintain them. 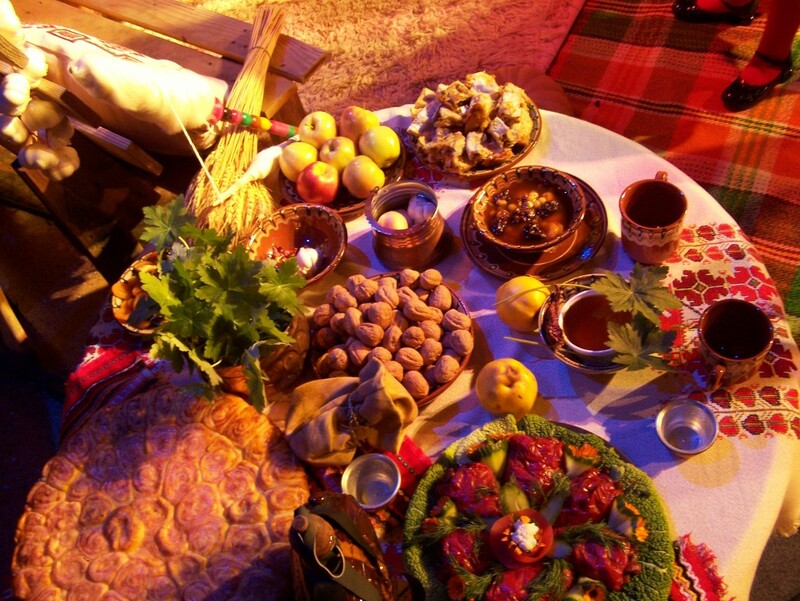 Christmas Eve in Bulgaria is celebrated in a traditional fashion with an odd number of guests who dine on a vegetarian meal consisting of an odd number of dishes, which follows the 40 day Advent fast. This rich meal, which encourages abundance in the coming year, includes grains and vegetables such as stuffed peppers, fruits and nuts. 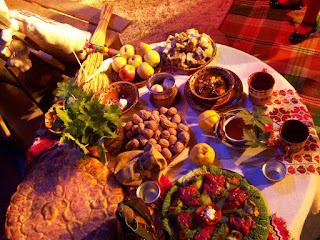 One thing that is sure to be found on the Bulgarian Christmas Eve table are Walnuts. These nuts are cracked in order to predict success or failure for the coming year. 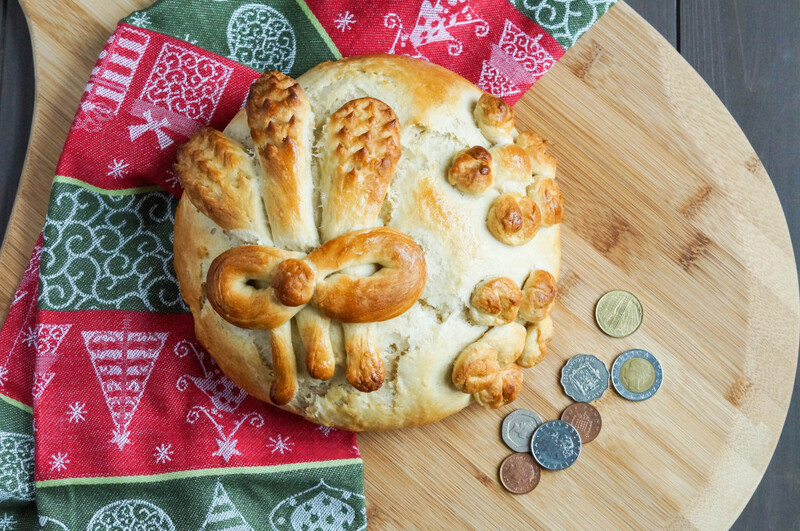 Another special aspect of the the Bulgarian Christmas Eve meal is the rounded loaf of bread, into which a coin is baked. The person who finds the coin will be rewarded with good fortune. 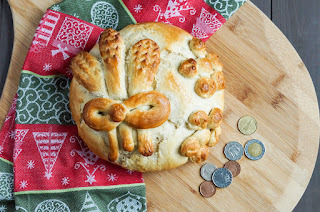 Pieces of this bread are shared around the table and may be placed near the house's icon, much like the wafer that is shared at Christmas in countries such as Poland. Interestingly, the Christmas Eve dinner table is not allowed to be cleared until the following morning in order to provide nourishment for the ghosts of ancestors who may come back to visit before Christmas morning. One belief that is key to Bulgarian culture is the legend that the Virgin Mary gave birth to Jesus Christ on Christmas Eve, but only announced his birth the day after, on Christmas Day. Legend also says that Mary was in labor from December 20th until the birth of Christ. December 20th is the Day of St. Ignat, or Ignazhden. Once the vegetarian fast has ended, everyone enjoys an enormous dinner on Christmas Day, with a main dish of some type of meat which is often pork. 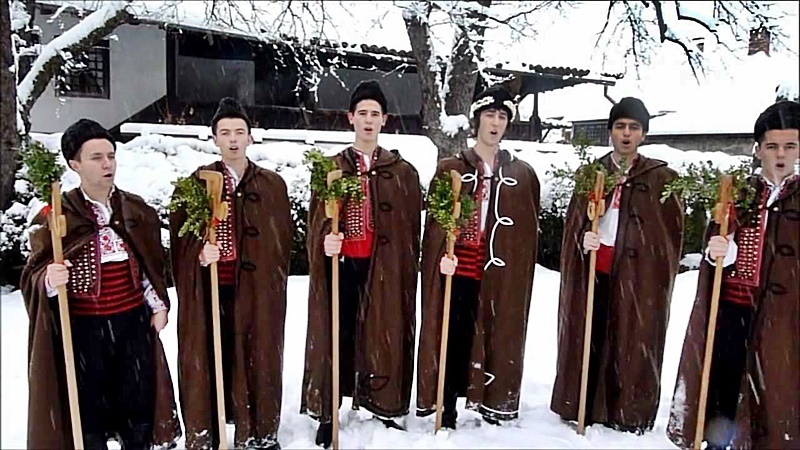 Koledari, or Christmas carolers, go from house to house through villages. These groups of carolers are typically made up of young men dressed in traditional costumes which vary from region to region. Some preparation goes into the koledari's performances, which begin at midnight on Christmas Eve. This tradition is said to protect against evil spirits. The koledari are rewarded with food in return for their services. And of course there is always the Christmas presents, which as is mostly done in the UK, are opened on Christmas Day itself, for those who cannot wait until the morning or later in the day, it is also acceptable for the presents to be opened at midnight on Christmas Day. So now that you know a little more about a typical Bulgarian Christmas, we hope you have an memorable and jolly Christmas yourself. 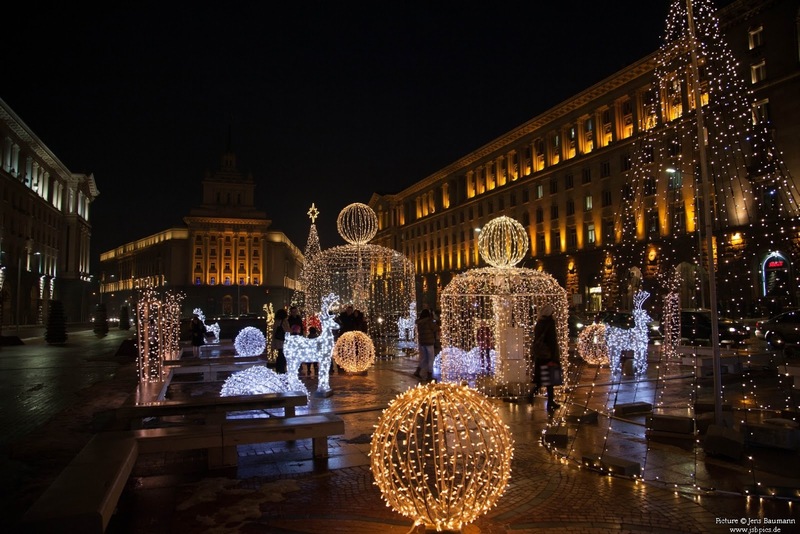 If you fancy treating yourself this Christmas, you can enjoy a great value winter holiday or summer holiday to Bulgaria with Balkan Holidays.